As I mentioned before I am away in Berlin so I'm leaving this awesome giveaway for you all while I'm away! The giveaway is for £100 giftcard with Plongée Clothing! 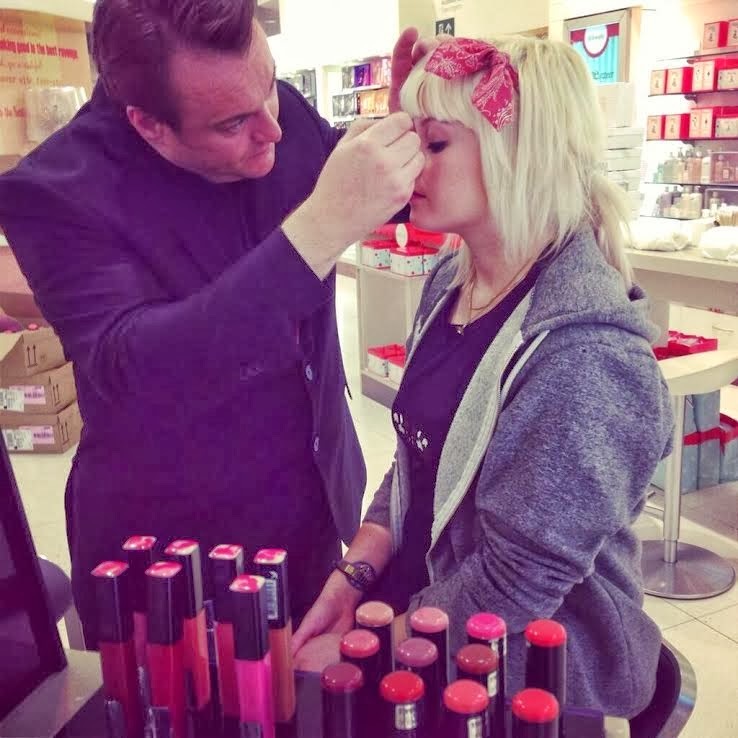 They have an amazing range for Men and Women. Enjoy the giveaway and don't forget to follow my Instagram and Twitter for Berlin updates! Littlewoods isn't normally the kind of online store I'd think to look for clothes and gifts but since browsing the site I've found some wonderful Winter fashion treats to share with you all. 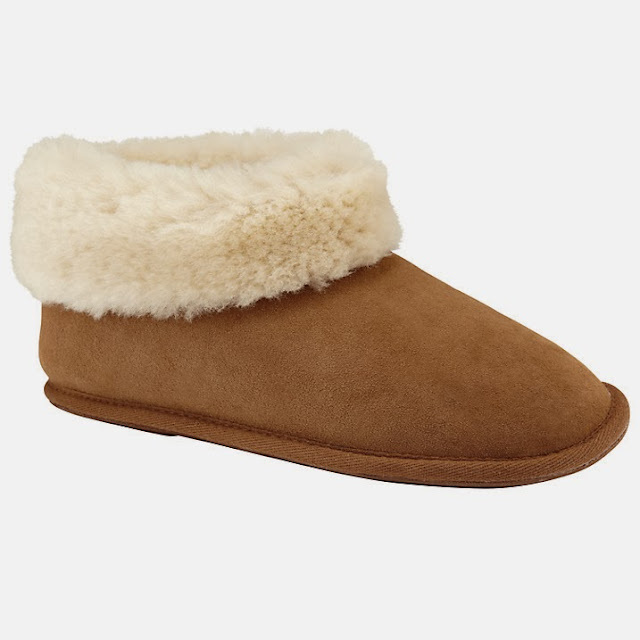 These are sure to keep you warm - look how cosy they look! These are super cute and unusual. 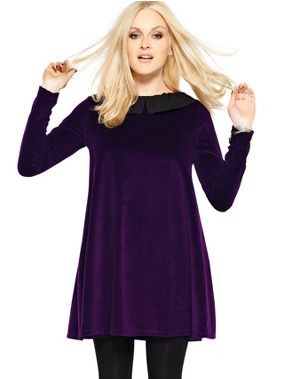 I love this, the colour is amazing! This is so cute and looks so warm. Love Label are winning the coat games. 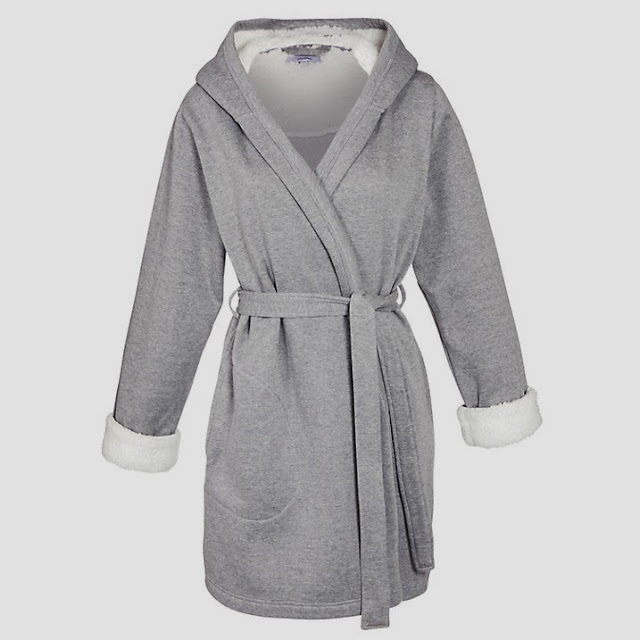 Another gorgeous and snuggly coat. The best thing about living in Wales is that I am surrounded by amazing and beautiful places to explore! There are so many nature reserves, mountains and walking trails, almost every weekend (weather permitted) I try to get out and find new places to go exploring and this weekend lead me to Neath-Port Talbot to Dinas Rock and Waterfall. There are loads more waterfalls in this area too but we spent hours just walking up and around this one - at one point we were so high up it was getting cloudy! We saw a few other people there in proper hiking and climbing gear - even a dog in a little waterproof! There are lots of caves around aswell that apparently King Arthur's knights lay in waiting to be called upon to battle. On Thursday I'm off to Berlin for 4 days so anybody who has some recommendations of what to go and do or see I'd love to hear! 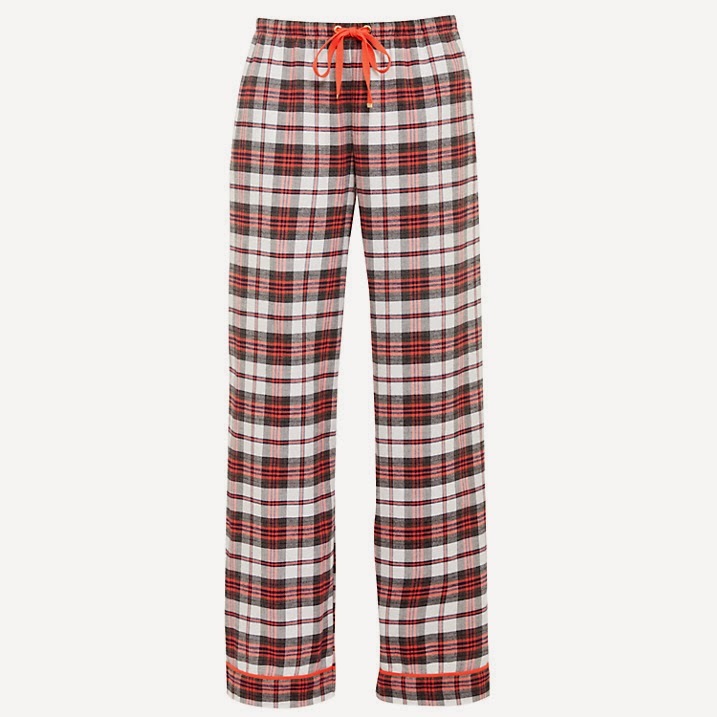 When I think Winter I think massive cosy blankets, snuggly PJ's and keeping warm by the fire. The Winter Luxe Edit by John Lewis features some gorgeous Alice Temperley items for a very cosy but gorgeous Winter time. How snuggly does this look? I bet the fluff inside is so soft. Love me a poncho - indoors and out! I don't think I would EVER take these off! On trend for bed time. 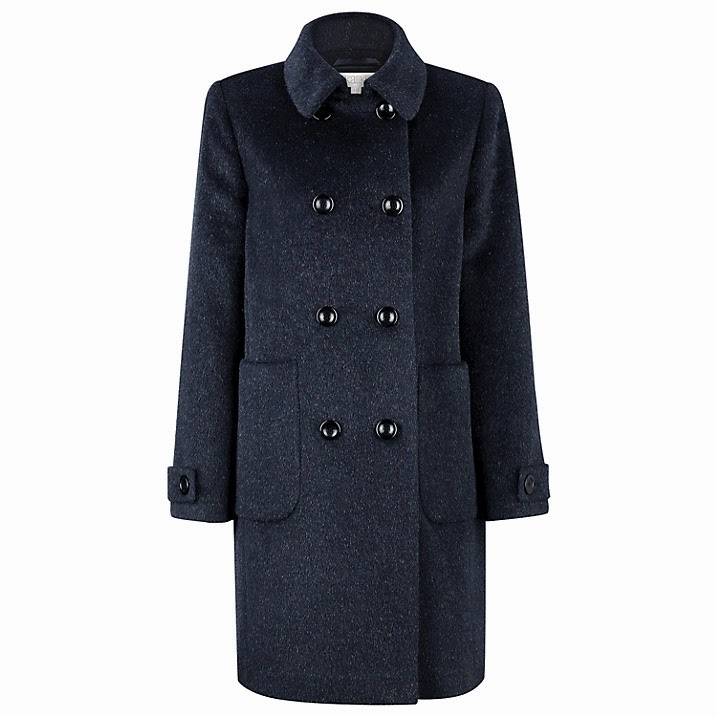 What's Winter without a cosy coat? 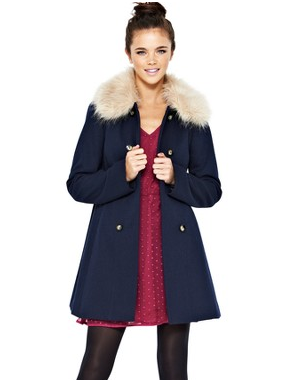 There are loads more stunning Kaiko coats and dresses on the John Lewis site. 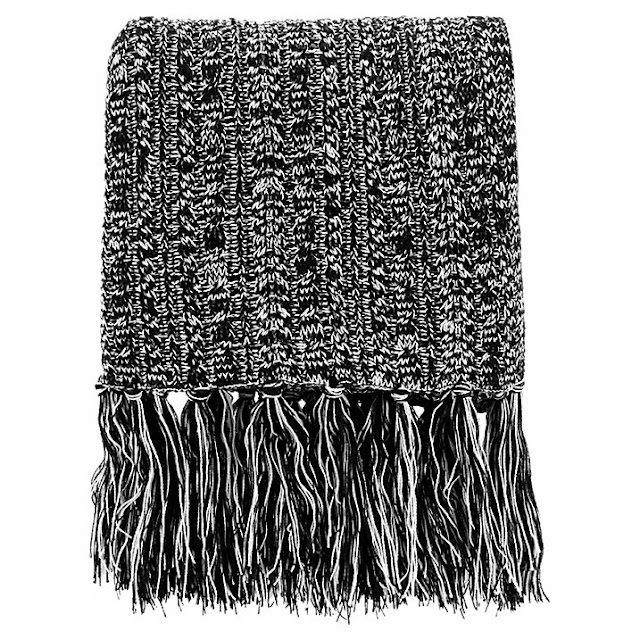 What is 'Winter Luxe' to you? Once I find a pair of boots for the Winter - I'm done! 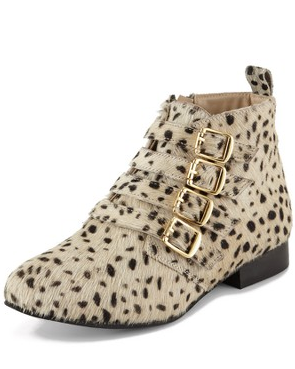 I'm still in my navy, borg boots from last year and I really fancy a change. Since it's November already I've been planning on what to ask for Christmas and boots are on the top of the list - so here are the boots that have made my short-list... so far! 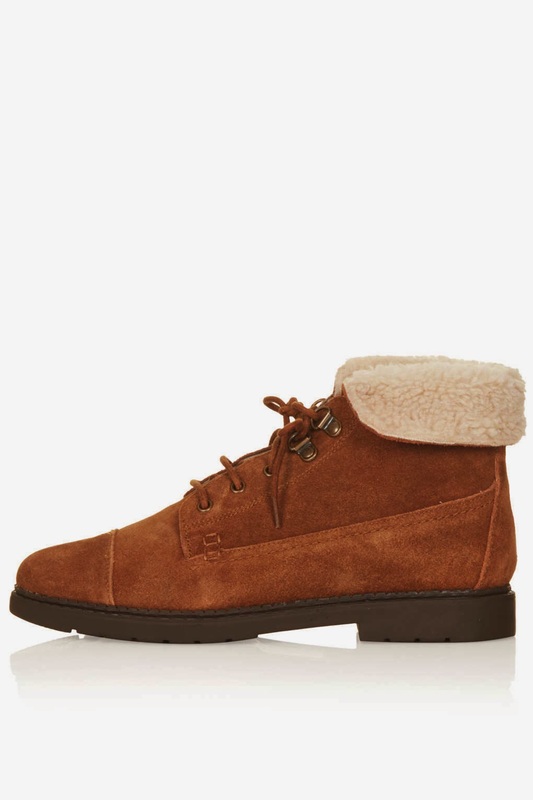 MURRY Hiker Cuff Boot - Topshop. 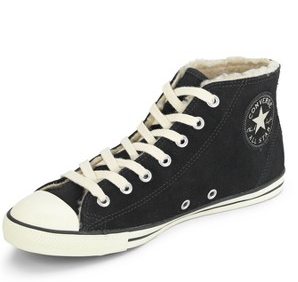 These are my ultimate favourite, I don't just want these I need these! I've been looking for some passable hiking boots that actually look good too. These are so cute but they look like they have no grip and I would slide so much! 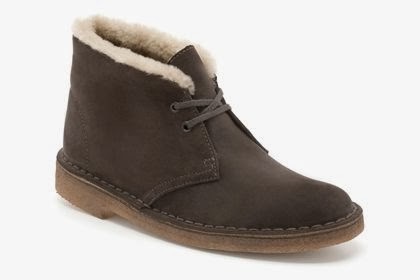 I've included these before, I love Clarks desert boots and these are the ultimate in keeping your feet warm. 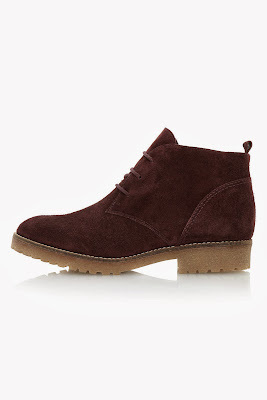 Chunk Sole Burgundy Desert Boots - Dune. 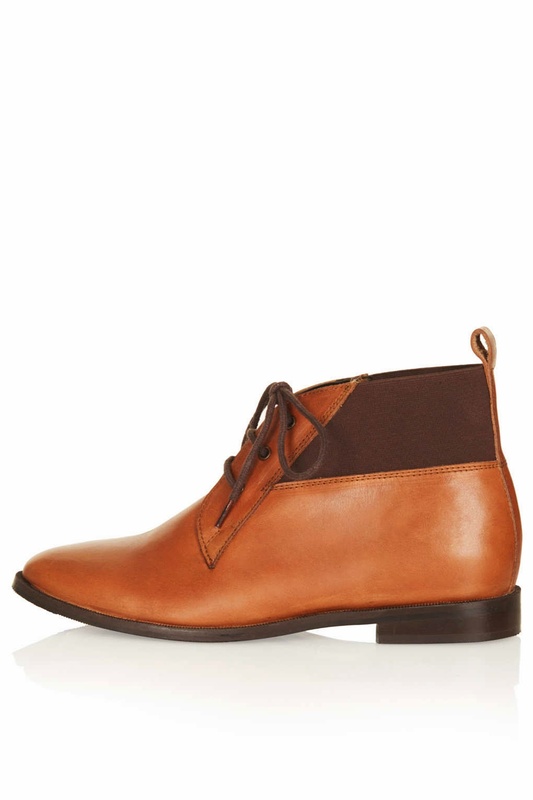 This colour is gorgeous and I love the slightly thicker sole for a desert boot. The sweetest and of course most expensive! 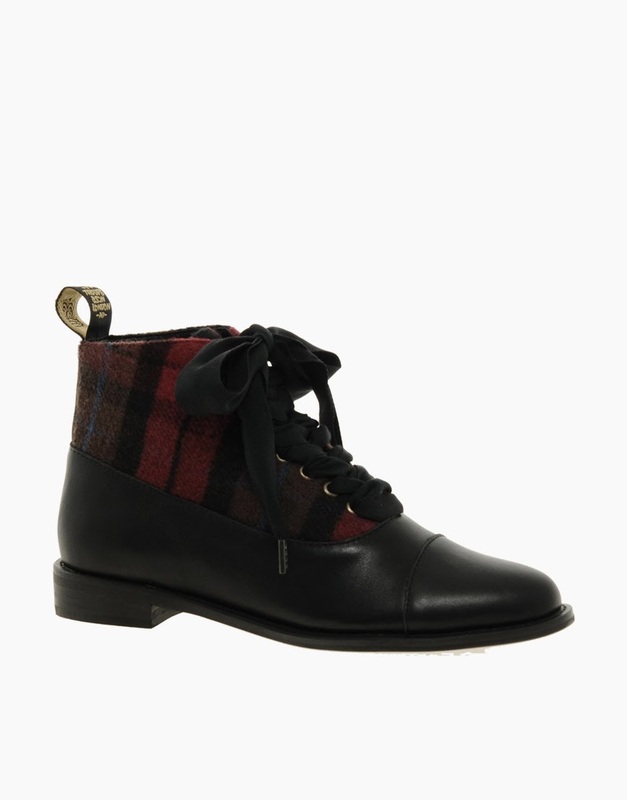 Super 'on-trend' with the tartan and adorable too. I'm pretty sure it's a toss up between the Clarks and the Hiking Boots as a winner for me, what do you think? 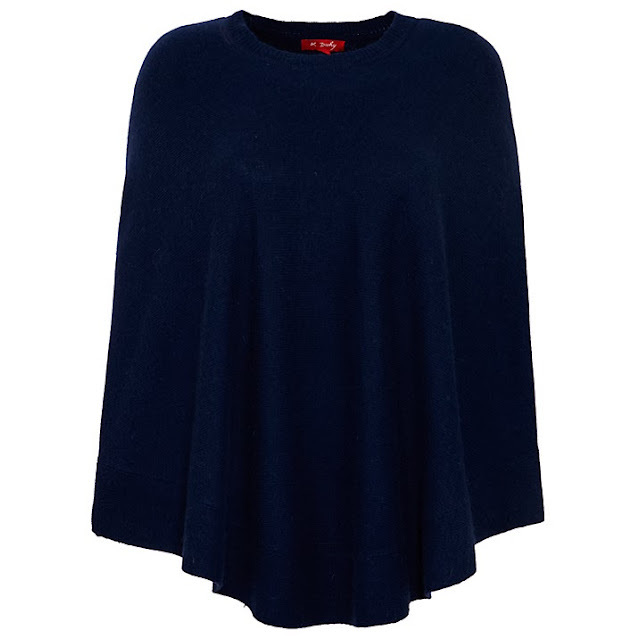 As its getting colder QCumber Clothing have set up 'Every jumper bought - a jumper is donated to the homeless' basically you buy an awesome QCumber Jumper and they will personally be going out on the 16th and 17th giving their jumpers to the homeless to keep them a bit warmer during these freezing days/nights. This is only on until the 10th so be quick and do a good deed today! I'm back in Cardiff now from a lush weekend in Devon, the rain has been crazy here but it seems to have settled today and now it's just freezing cold! A couple of weeks ago Specsavers in Cardiff moved (next door) to double in size and had a £1million refurbishment. I used to be so scared getting my eyes tested because of the episode on Friends when Rachel gets the puff of air in her eye and that just used to freak me out BUT luckily now that doesn't seem to happen - phew! I went to the launch for a look around the new store, some free wine, canapés, an eye-test and more free wine. The shop part is downstairs and the testing center is all upstairs, there were 11 testing rooms and a whole new contact lens-making section. 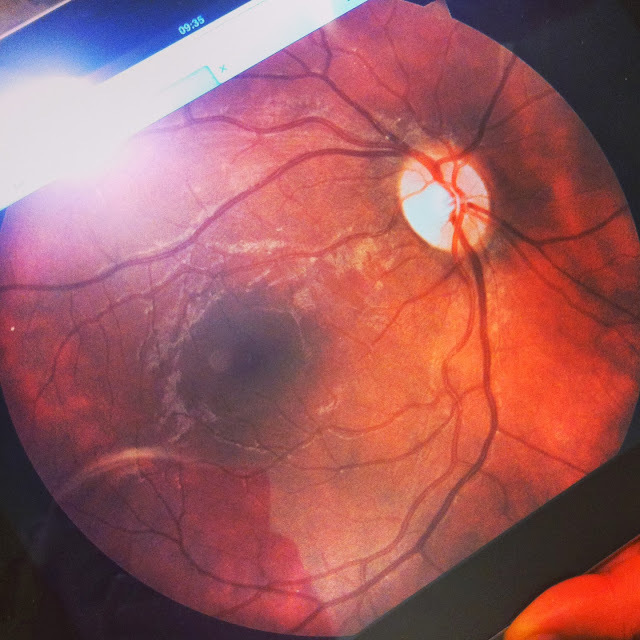 The pre-test consisted of measuring the eye electronically and then a photo is taken of the inside of the eye. The eye test itself is the usual however no more wearing those silly goggles, It's all automatic now. Osiris Tortoiseshell Glasses - c/o Specsavers. I love the 50's big cat-eye style frame with the cute gold rim along the top. Also I got to see the picture of the inside of my eye - it looks like an Alien baby scan!